In just about every garage or shed, you'll find old jars filled with nails and screws. Now, you'll find the same thing at Home Hardware in Manuels. Customers can grab a jar, free of charge, instead of using a plastic bag. In just about every garage or shed, you'll find old jars filled with nails and screws. Now, you'll find the same thing at Home Hardware in Manuels, in Conception Bay South, N.L. Right above the bins with all the loose hardware, there's a shelf full of used glass jars of every shape and size. Customers can grab a jar, free of charge, instead of using a plastic bag. 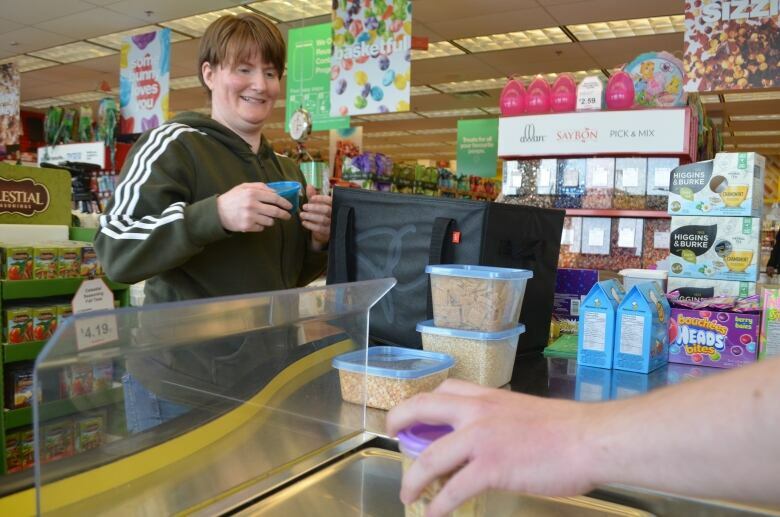 "The bigger, wide-mouth ones are always best, because you've got some 3½-inch screws going in there," said store manager Zak Thorup. "Cheez Whiz seems to be the favourite." Thorup is passionate about cutting down on plastic packaging. One day, he realized a clear alternative was all around us. "We encourage everybody to bring them in, because everybody comes across glass jars in their day-to-day life," said Thorup. "So instead of throwing them out, staff brings them in, if customers want to bring them in [they can], because during the summer, they go out as fast as they come in." In Newfoundland and Labrador, glass isn't accepted in curbside recycling programs. So customers can get rid of their jars, and the store can offer a cost-free alternative to plastic bags. Thorup says it's a win-win. "It's such a simple solution, and it gets people talking about it. That's what I find is the best part. People realize the options are out there, and they should be able to expect it wherever they go, to not have to use plastic," he said. There's another store where people buy small, loose items that's also trying to put a lid on single-use packaging. 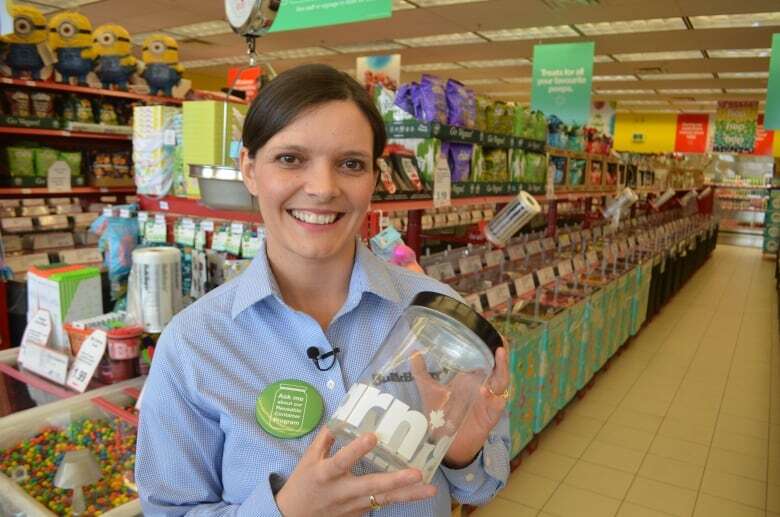 Bulk Barn has a countrywide program that encourages customers to bring their own jars or containers. "Everything has been positive. Everyone is super-pumped," said Kim Doucette, manager of Bulk Barn on Kelsey Drive. 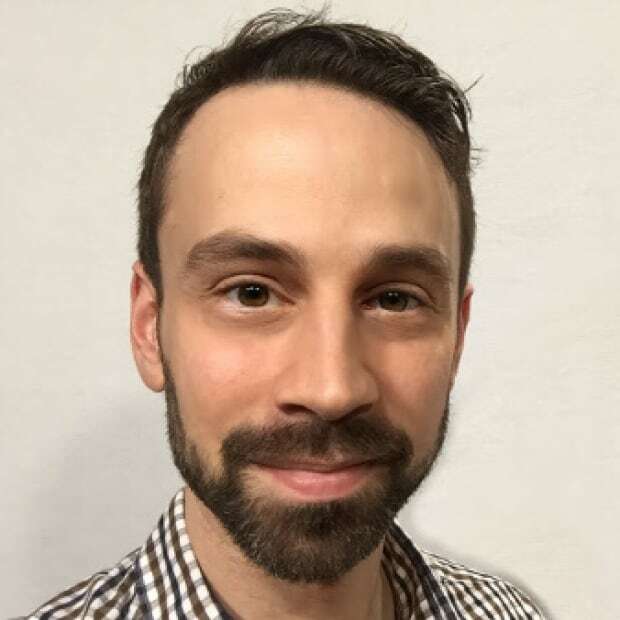 "We have customers that aren't maybe aware of the program, and they're in line behind people who are doing the program. And they're very interested in it, they're asking questions. They're coming in, next time they come in, like, 'Hey, I brought my jar! I brought my cloth bag!'" At Home Hardware, all the jars are weighed before they go on the shelf. At Bulk Barn, you can take your jars to the cash and have them weighed before you start shopping, so the weight of the jar isn't added to your bill. Since last year, Bulk Barn has seen a 50 per cent increase in customers choosing containers over plastic bags. Frequent customer Melissa Hayter has been bringing her own containers for the past six months. "Oh, it's been awesome, I don't have to try to figure out what to do with all those extra bags that keep cluttering up underneath the cupboard," she said. It's a simple idea, but Thorup sees it as part of a larger issue. Reducing single-use plastic packaging is an important part of combating pollution and climate change, but who needs to make the changes for that to happen? "It's the retailers and the manufacturers' responsibility to reduce plastic," said Thorup. "It's not really the customers, even though that's the society we live in now, where we expect the customers to make all the right choices." Waves of Change is a CBC series exploring the single-use plastic we're discarding, and why we need to clean up our act. You can be part of the community discussion by joining our Facebook group.